In the US, some 81% of the population is on social media, up from 24% ten years ago. 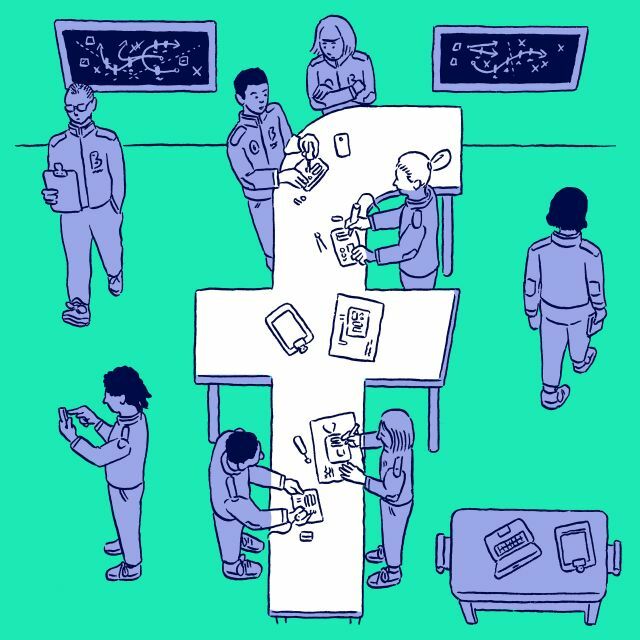 Worldwide, the number of social media users is expected to top 2.5 billion this year. Social media is where people are spending their time these days, which is why it’s an essential part of any advertising strategy. If you’re putting out content and want people to actually see it, you need to publish and promote it on social media. What do pros put in their campaigns? Learn (directly from the masters) the secret ingredients to successful Facebook campaigns. So what’s the right balance? There’s some debate, but the general consensus among experts is that most of your posts should be a mix of ‘curated’ (other people’s content) and valuable or educational content of your own, with a much smaller percentage of posts directly promoting your products or company. …most of your posts should be a mix of ‘curated’ (other people’s content) and valuable or educational content of your own, with a much smaller percentage of posts directly promoting your products or company. This might mean that for every purely promotional post you share for your social media campaign, you also share five pieces of relevant content from other sources, and two or three value-adding pieces of your own content. The right balance for you — and the types of posts people engage with — will largely depend on your business, your audience, and your goals for social media. What works for a B2B company on LinkedIn is unlikely to work for a food blogger on Facebook. However, there are some common post types that consistently get results for lots of brands across a variety of different industries. 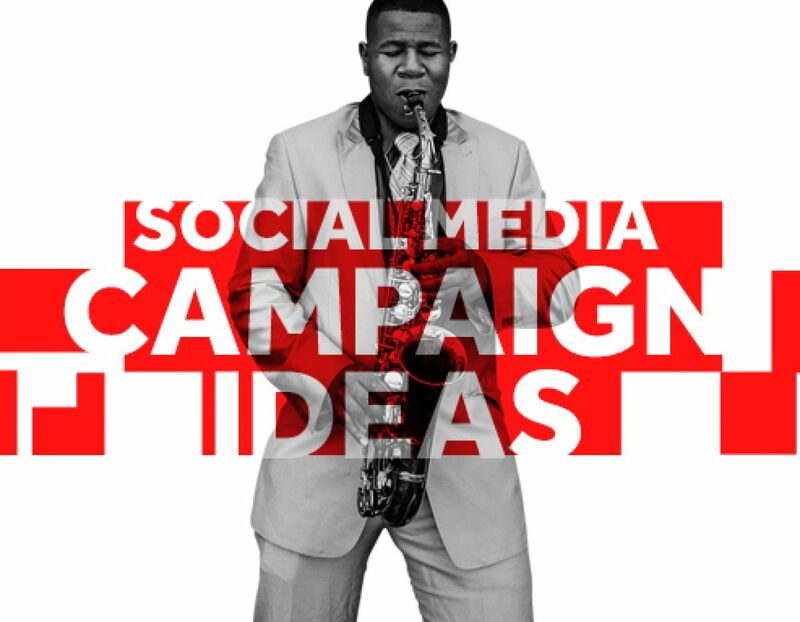 We’ve gathered up some of the most effective social media content ideas in the list below. The importance of video on social media can’t be overstated. 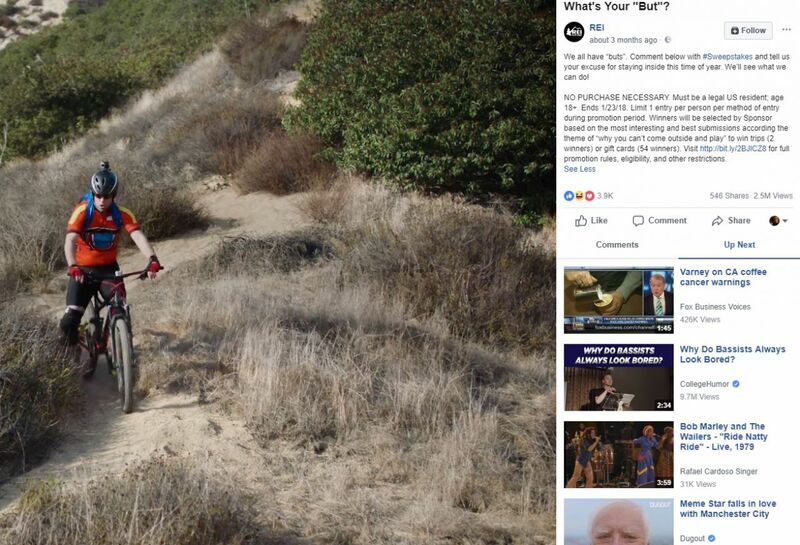 As more networks have rolled out robust video features, and networks like Facebook have changed their algorithm to prioritize it, video has become one of the most powerful resources in the marketer’s toolkit. People have short attention spans, and are bombarded by content competing for their attention. Video is eye-catching and easy to consume, a boon for marketers who need to get their message out quickly and differentiate themselves from the crowd. Biteable makes it simple to create videos for social media, with free, easy-to-use templates and a wide range of footage and effects. Need ideas? Check out our list of video ideas for businesses. Giveaways are one of the best ways to encourage people to engage with you on social media. After all, everyone loves free stuff. The key is to make the prize relevant to your brand. For example, if you run a pet store, you wouldn’t give away an Xbox. Ideally your prize should be your product, a gift card, coupon, or something else related to your business. Try to offer a low enough barrier to entry that it’s easy for people to participate — you don’t want them to have to fill out a huge form to enter — but not so easy that you don’t see value from it. If people just click a button to enter, that doesn’t help you. But if they hand over their email address, connect with your page on social media, share your content, or tag their friends, that’s an opportunity to market to them in the future or grow your channels. Unlike a random sweepstake, a contest rewards your fans for a skill. One of the most popular contest ideas is a photo or video contest. You can choose the winner yourself, or invite your audience to vote for their favorites. Either way, the benefit is audience and participant engagement, as well as an opportunity to use the entries as content. Sharing user-generated photos and videos is a great way to both shine the spotlight on your biggest fans, while letting your audience do some of the content creation work for you! People love sharing their opinions, and a poll is the perfect way to get them engaged. You’ll almost always have much higher engagement with a simple yes/no or multiple choice poll than you will when asking people to provide more in-depth feedback. Twitter, in particular, makes it super simple to run a poll, and even Instagram Stories offers a fun two-question poll option. You can use a poll for general interest questions, or make it relevant to your business, like having people vote on a product or feature. Whether inspirational, thought-provoking, motivational, or funny, sharing quotes is one foolproof way to get people to engage with your content. A nicely designed quote is especially impactful on visual networks like Pinterest and Instagram, but works well on Facebook and Twitter too. Asking questions is a great way to drum up conversation on your channels. While a little friendly debate isn’t a bad thing, avoid asking questions that are overly controversial if you don’t want a flame war on your hands. Nicely staged product photos or videos are especially effective on networks like Pinterest and Instagram where many users go to shop and get visual inspiration. Go for visually appealing images and videos that show your products in use, rather than boring shots of your product against a plain background. 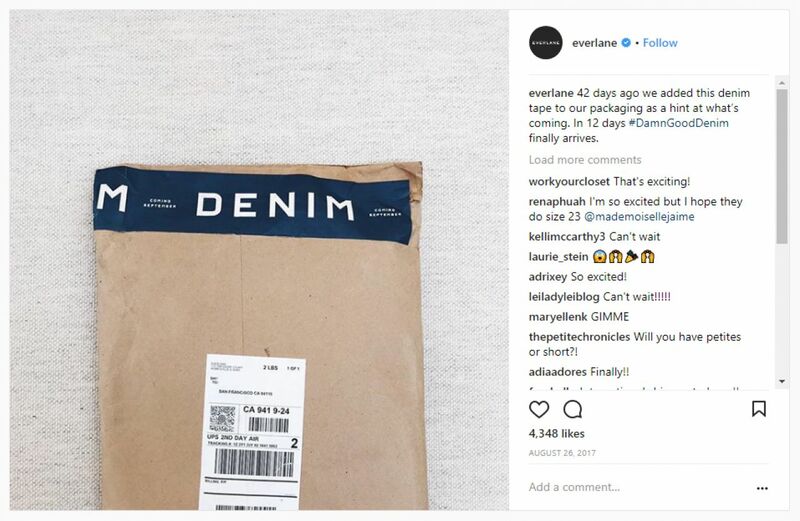 Don’t wait ’til launch day to tell your followers about a new product or big announcement. Instead, drum up excitement over a few days (or even weeks) by posting a series of sneak peeks hinting at your news. A new product line or store opening, events, sales, and more. Any company news is prime content for your social media channels. If you want to go viral, one of the best ways is with a funny photo or video. 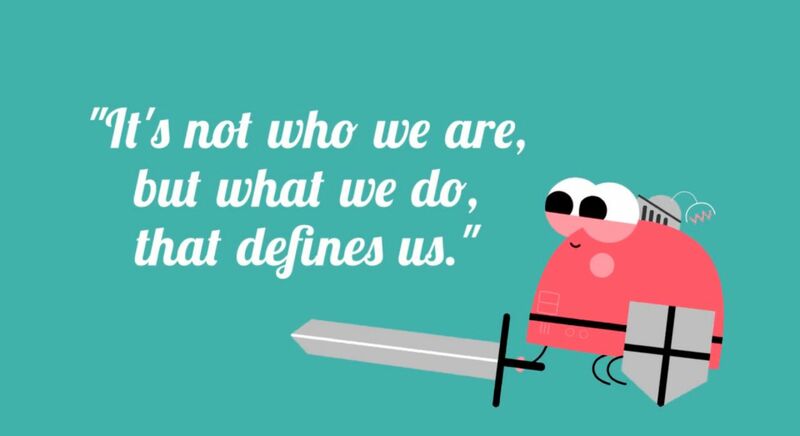 Inspiring and funny content is some of the most shared on social media, so don’t be afraid to have some fun. Do try to keep it on brand and relevant to your audience though! Reward your loyal followers with special social media promos and deals. Try offering exclusive deals to followers on one network, but not all. Offering different content and deals on your channels helps encourage people to follow you on more than one channel. Infographics are a great way to turn data and statistics into highly shareable visual content for social media. 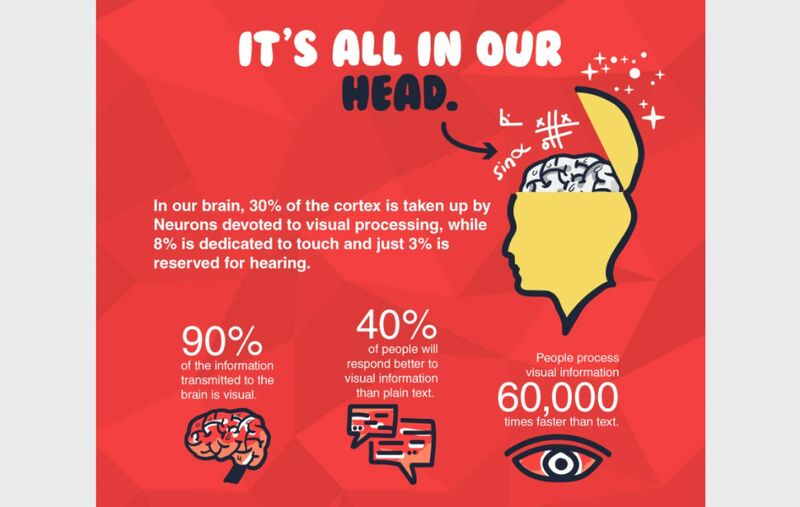 Create an image or try one of Biteable’s infographic templates for an engaging video infographic. Sharing industry news and content from relevant non-competitors is a must on social media. Post a link that your fans will enjoy and be sure to tag the source too. It’s a great way to both give credit and potentially get other pages’ attention. They just may end up returning the favor and sharing your content! Try a tool like BuzzSumo to find curated content for your channels. As we mentioned above, if you’re publishing content on your blog, you should be telling your followers about it on all your networks. If you’ve been publishing for a while, don’t be afraid to dig up older evergreen posts and share it again. You can get away with promoting old and new blog posts many more times on Twitter, and can post the same link multiple times on Facebook as long as it’s spaced out enough to not appear repetitive. Try collaborating on a campaign with another non-competing brand with whom you share a similar fanbase. With both you and your partner(s) sharing the campaign and using your hashtag, it’s an excellent way to reach a broader audience. 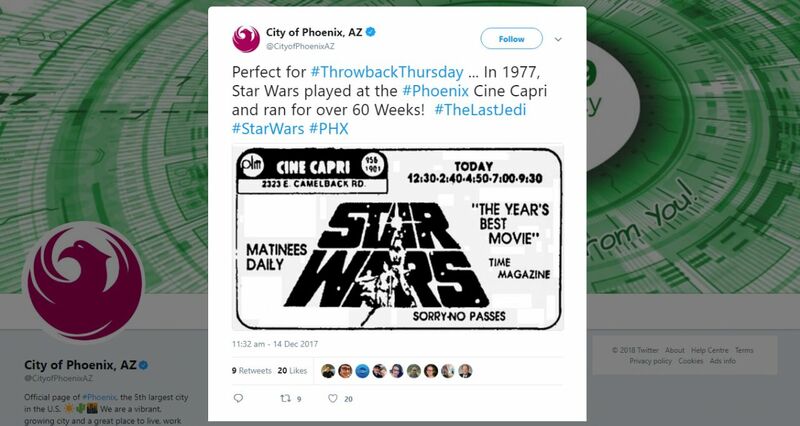 Participate in #ThrowbackThursday or celebrate a milestone by sharing images and videos from your organization’s history. ThrowbackThursday isn’t the only hashtag out there. Try #WednesdayWisdom for your inspiring quotes, or #MondayMotivation for productivity tips. 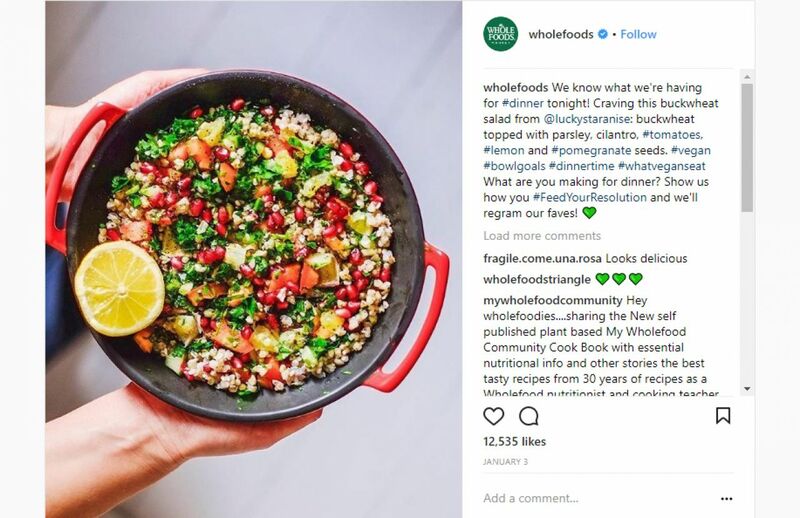 Create your own hashtag like Whole Foods did below, and encourage people to use it as a way to gather user-generated content. In the weeks and months leading up to your event, you should be posting teasers and announcements to build up buzz. 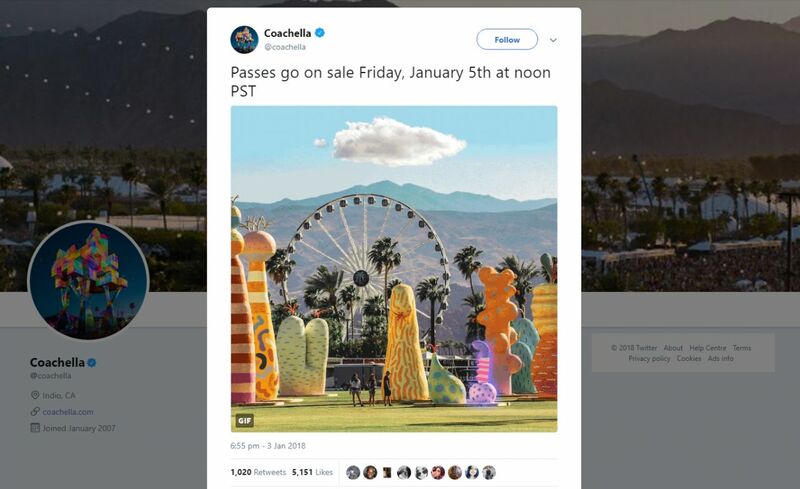 Post when you set a date, when tickets go on sale, and countdowns as the big day draws closer. When event day is finally here, post and livestream from the event to share exclusive content with viewers at home and build anticipation for your NEXT event. After the attendees have gone home, post a recap or a series of recaps with highlights from your event. You don’t even have to host your own event to share a recap. If you attended a relevant industry conference or event, share your impressions and takeaways with your followers. An interview or Q&A is a nice way to engage your audience and demonstrate transparency. Try a live Q&A in which you answer your audience’s questions, or sit down with an industry thought leader, an employee, or customer for a live or prerecorded chat. Post about your favorite cause or nonprofit and encourage your fans to donate or volunteer. Even better, hold a campaign in which you match donations. If your organization volunteers or participates in a charity event, take photos and share your involvement. How-tos and tutorials are one of the most popular social media content ideas. Post an easy-to-follow video recipe or step-by-step DIY. 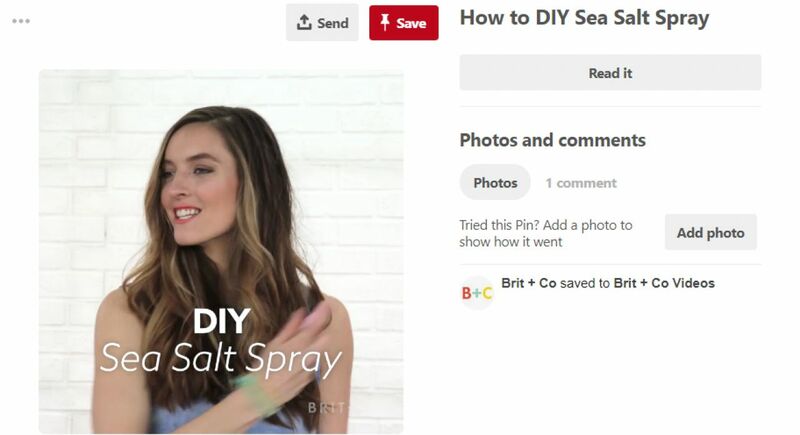 This type of content is especially popular on Pinterest and YouTube, but it’s also a hit on networks like Instagram and Facebook. 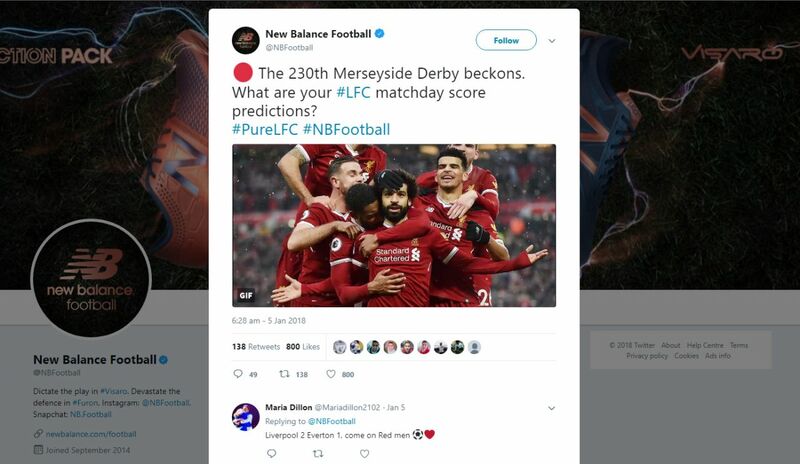 Like a brand partnership, working with an influencer on a sponsored campaign is a powerful way to reach a broader audience. Many people now trust influencers as much as their friends, so working with an influencer whose audience closely aligns with your own could be a huge opportunity to build your brand. Show the people behind your brand! 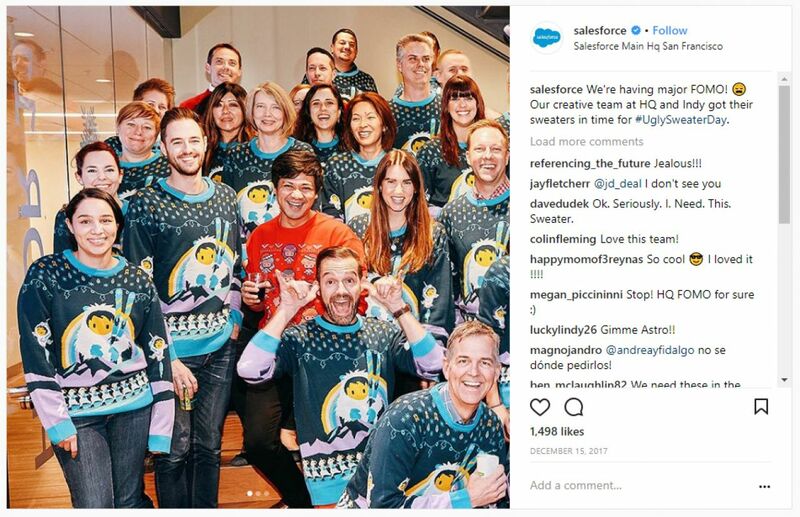 Not only can it help you to build a connection with your audience and demonstrate transparency, showing off your company culture can help to attract new talent to your organization. People trust other people more than they trust brands. Let your customers speak from themselves by sharing reviews and testimonials on your social channels. Make it more eye-catching by creating a simple image or video like we did here. Holidays and awareness days (World Chocolate Day, anyone?) are an easy way to engage your audience on social media. Create simple graphics or videos, or offer special holiday promos for your followers. Highlight the team members who help make your company great. This content helps humanize your brand and can attract new employees to your organization. Facebook, Twitter, and Instagram have all added features recently making it easy to talk to your followers in real-time. The format is perfect for events, Q&As, behind-the-scenes content and more. Sporting events, award shows, elections — ask your audience to share their predictions on what will happen. Participate or host your own chats on social media. A Twitter chat is the most popular format for this, but many brands also host chats and Q&As on Facebook. Share your #FollowFriday recommendations — that’s people/pages you follow or those you think your followers would enjoy! If you publish a roundup of influencers or thought leaders to follow, as many bloggers do, post the link on social media and tag the folks you’ve mentioned in your post. It’s a great way to get more retweets and shares for your content. 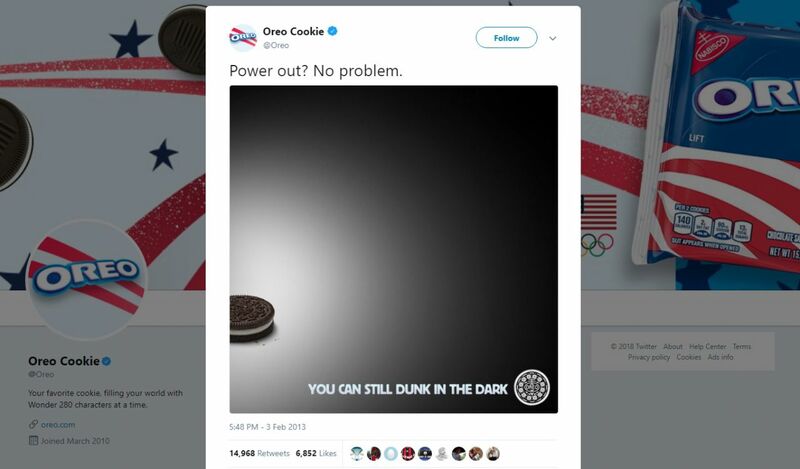 Perhaps the best example of this was Oreo’s famous Super Bowl blackout tweet. Oreo was able to jump on a trending news item in a creative and funny way that quickly went viral. 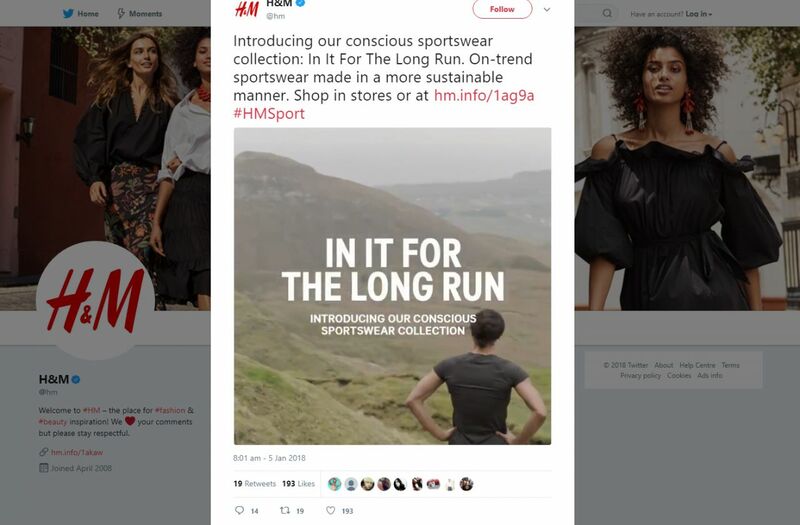 Be careful with this one though, as there are far more examples of brands that attempted to post timely content (especially after tragic events) and faced backlash for “newsjacking” as a result. “Engagement bait” posts like “tag a friend who….” or “like this if you agree” can be effective, though they should be used sparingly. 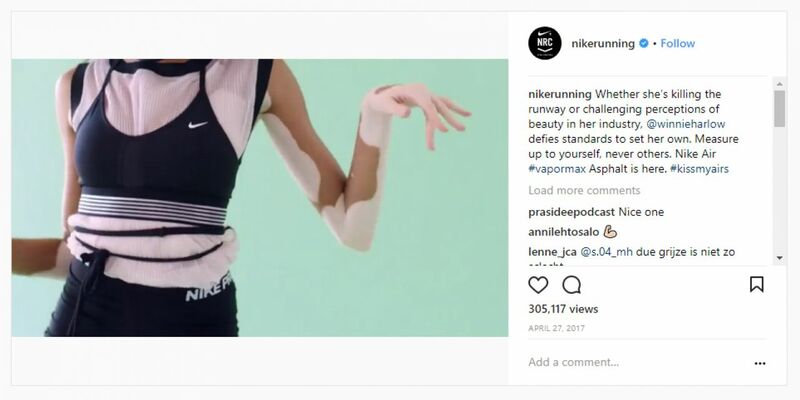 Facebook in particular has recently cracked down on these kinds of posts, but many brands still use them effectively on other channels like Instagram. If you’ve ever stared at that blank status update box with no idea what to post, we hope this list of social media content ideas will help. 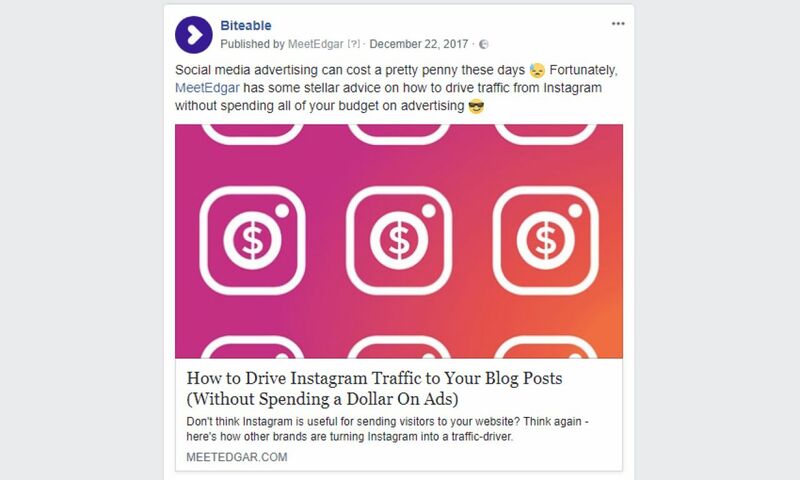 And if you’re ready to take your social media campaigns to the next level, Biteable is the perfect tool for creating stunning social videos, video ads, and more for any social media network. Give it a try here!